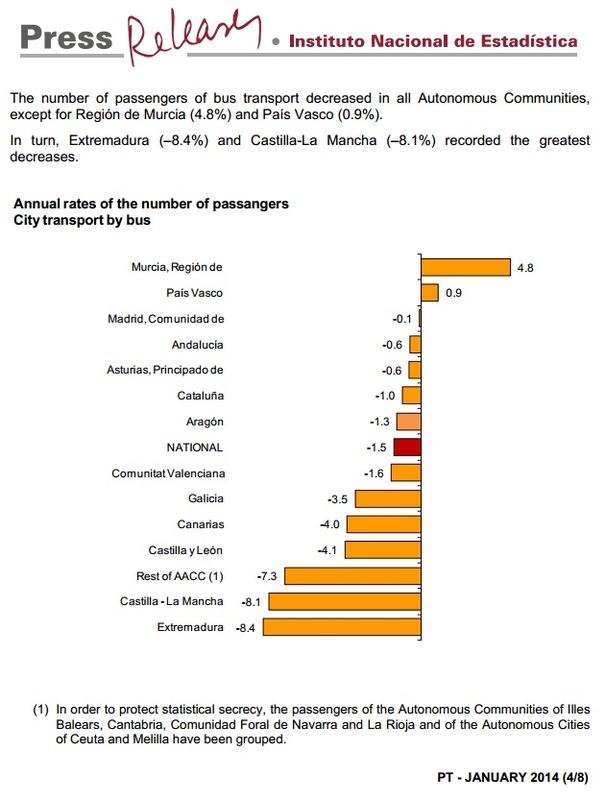 MADRID– The long distance train overtook air travel as a means of internal transport for Spaniards, it was confirmed on March 13, 2014. 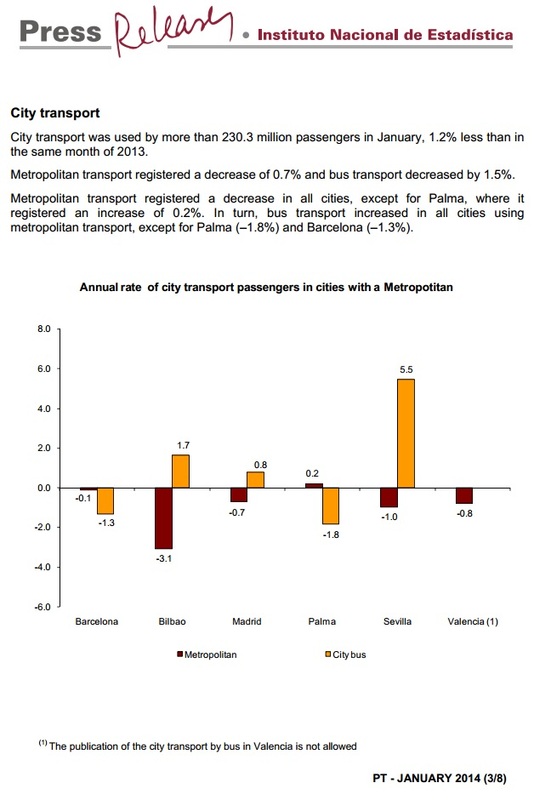 Spain’s national Institute of Statistics confirmed that in January 2014, 1.8 million people used aircraft as a means of traveling from one Spanish City to another, while 1.9 million preferred to use high-speed train. 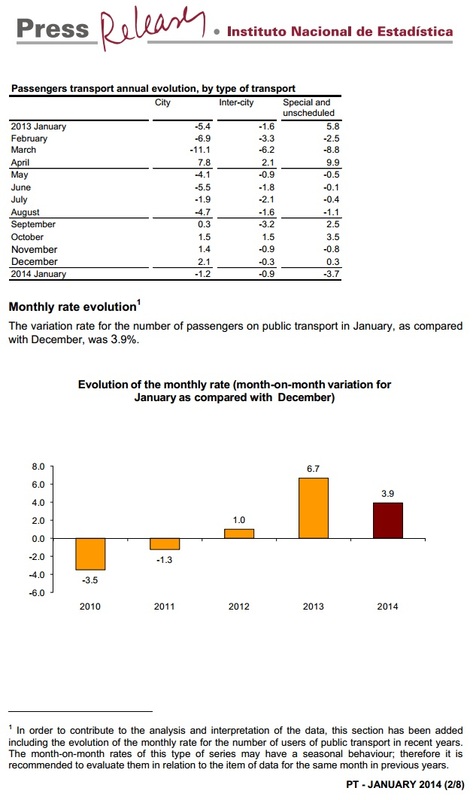 The number of air passengers continues to fall and the number of travelers in January was 7.3 percent down on January 2013 (the 28th consecutive month in which air passenger numbers have fallen for domestic flights), while the number of people preferring to ‘let the train take the strain,’ was up 22 percent. 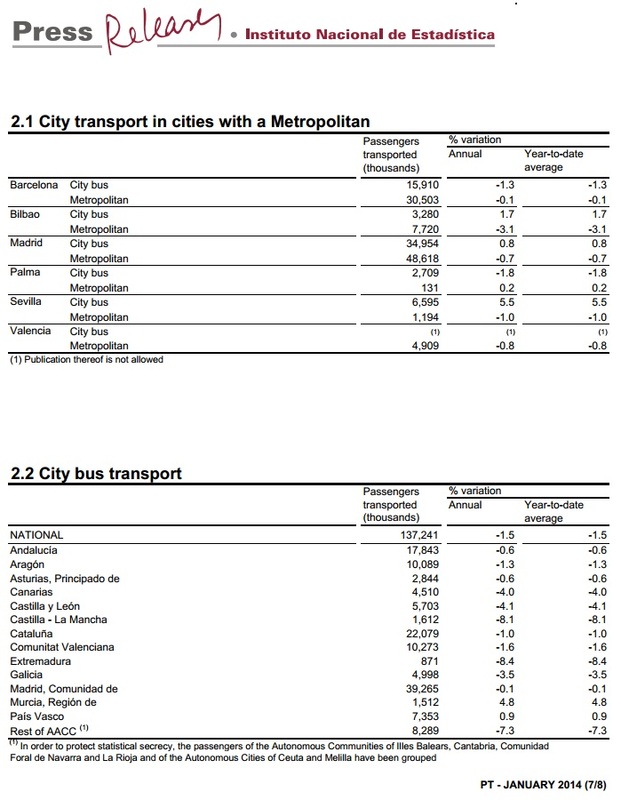 One of the main reasons for the increased popularity in rail travel, which comes despite the tragic accident in the city of Santiago de Compostela which killed 79 people on July 24 last year, is the decision taken in February 2013 to reduce ticket prices and also to offer regular passengers the chance to buy a ticket for 10 train journeys at reduced prices. 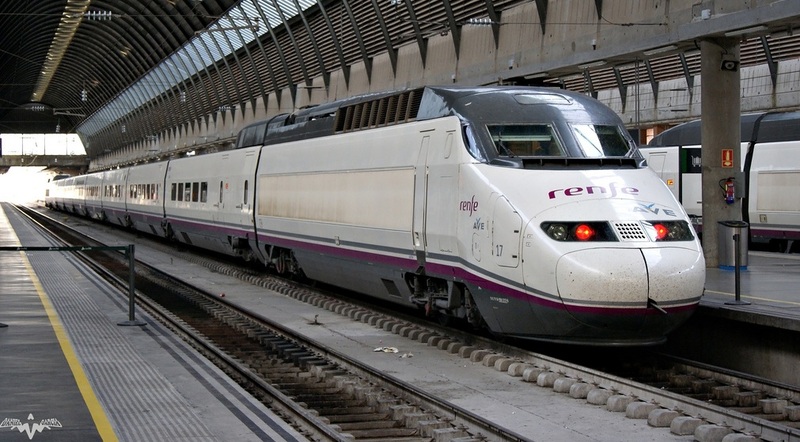 The Spanish railway operator, RENFE has also taken the decision to reduce the cost of first class travel, while taking away the meal service which was offered as part of the service. 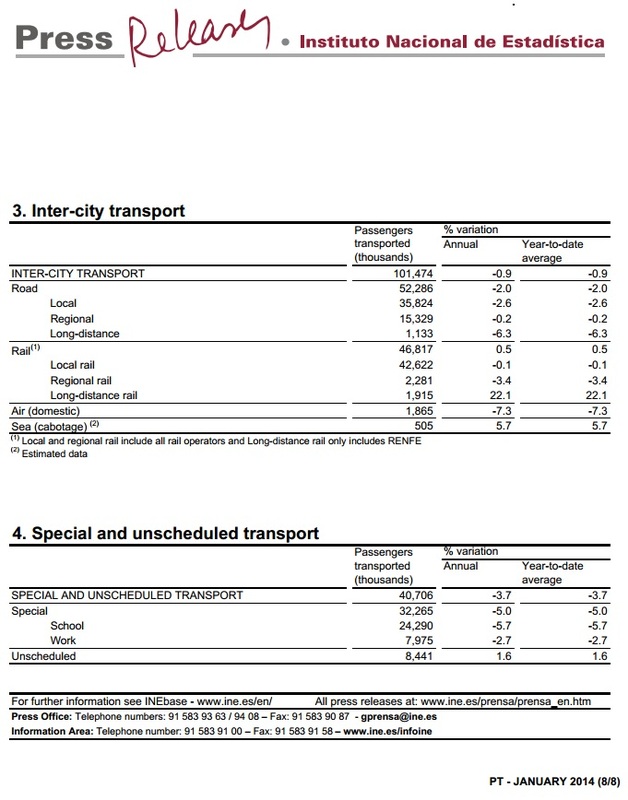 Meanwhile increased airport taxes continue to be a disincentive for airlines, while the economic crisis which has seen airlines reduce the number of routes on offer, cutbacks suffered by Iberia and also the disappearance of Spanair, which ceased operations in early 2012 means there are not as many options for potential air travelers. 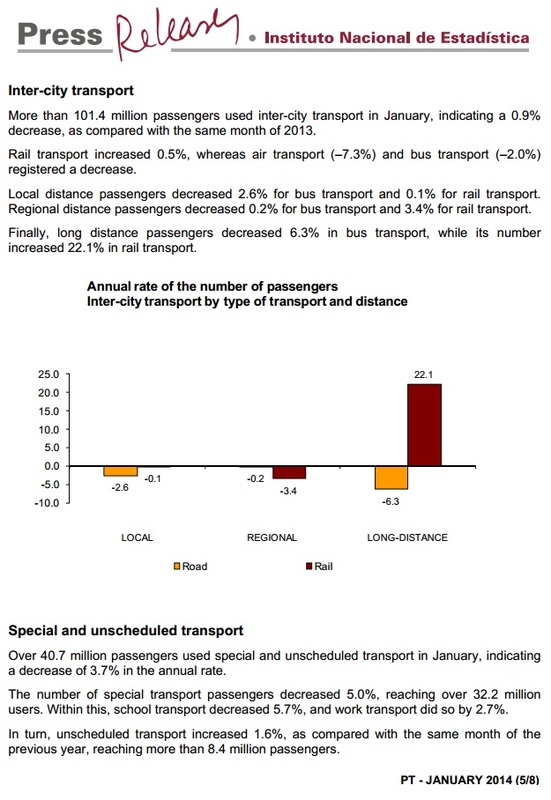 The year of 2013 saw a 4.7 million reduction in the number of air travelers, while a total of 25.4 million people traveled in high-speed train; 13.5 percent up on 2012. 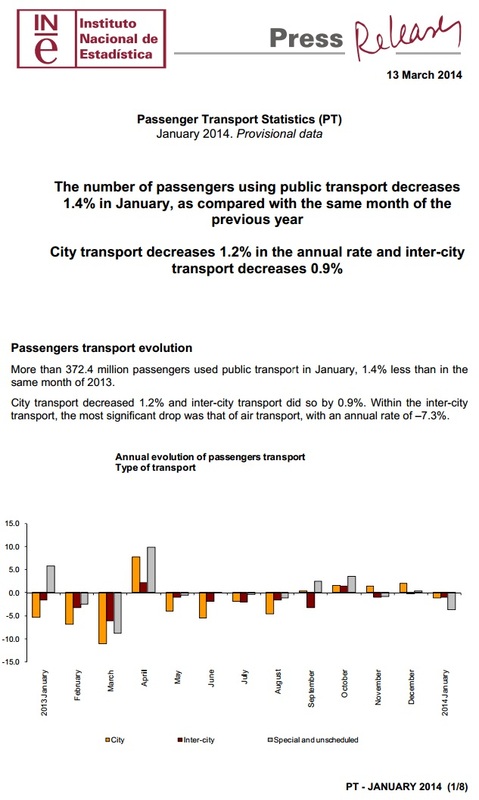 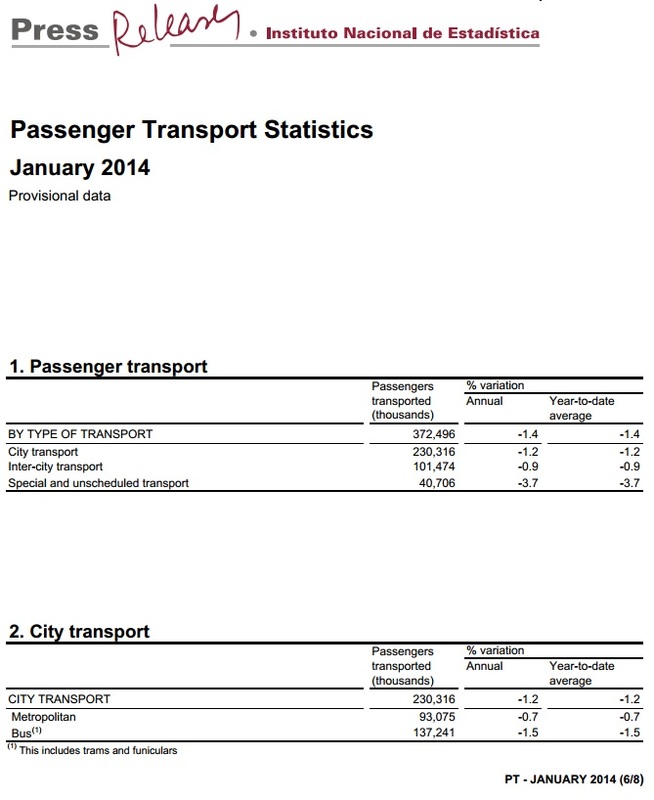 The number of people using a long-distance bus service for domestic travel fell by 2 percent. 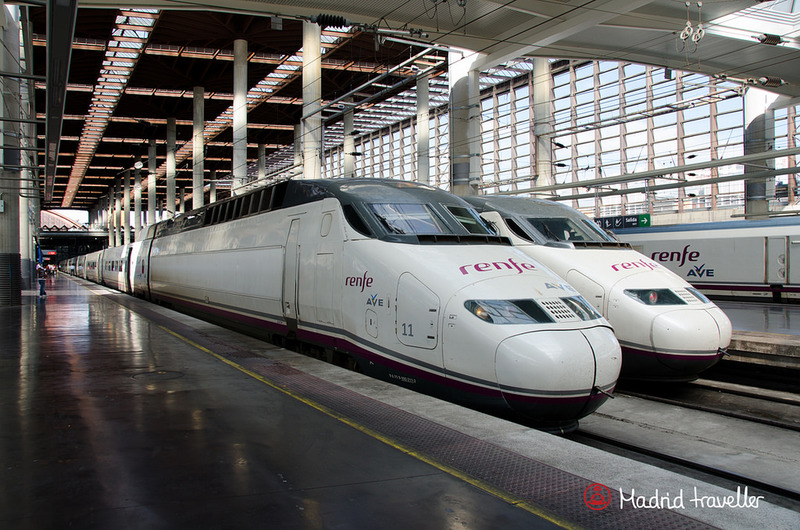 Spain has an excellent high-speed rail network which connects Madrid to major cities such as Barcelona, Sevilla, Valencia, Alicante, Valladolid and Segovia, as well as to the north-west of the country.